Google shapes the Internet with their actions. Calling it stupid – repeated times – is insulting because…well once bitten twice shy. I remember when WSJ and Forbes began fearing linking to anything back in 2013 and to suggest it’s “stupid” for people to nofollow everything…well again Gary…this is Google’s own creation. Most news sites don’t link out because they are greedy about keeping their visitors – something that Google should understand perfectly. They are also afraid of their authors setting-up a side business selling links because they can’t pay them a living wage. News sites are also scared about getting a penalty from linking to other websites. News sites — by this I mean major sites such as the New York Times, the WSJ, Reuters, etc., have always had very restrictive linking policies. This policy — which predates Google — is a product of their print-centric cultures, which have long regarded the Internet as a “subculture,” populated by “bloggers” publishing information of questionable repute and provenance. Even pure-play Internet news sites often refuse to link out to their sources, preferring to rewrite the original story without credit to the original source. This practice has been active for at least 20 years – again, long before Google, SEO, or modern search engines. But what’s clear from the comment firestorm at SEORoundtable.com (currently there are 70 comments and growing) is that there continues to be a great deal of confusion about outlinking. So let’s clear some of it up. 1. Google wants you to link where it’s editorially appropriate. The algorithm at the heart of Google’s search engine — PageRank — uses the link structure of the web to establish the relative authority of every page on it. While PageRank has been augmented by many successive algorithms, it’s not been superseded by any of them, and will likely never be, given how well it generally works. But PageRank can’t work if people stop linking to sources, Google knows this, and nothing it’s done — including its recent takedown of product bloggers — or any new addition to its guidelines — indicates a chance of stance. 2. Links are not link schemes. Links are terrific instruments for content creators because they function as “active footnotes.” Some readers may choose them to branch off to (for example, when you’re introducing a topic that needs detailed explanation you’d rather not include in your text). Others may skip over them if they’re familiar with the topic they relate to. When you add a link to an article — for example, the link to Wikipedia’s page on PageRank — you’re adding value for the reader through a well-chosen citation to an authoritative source, thus creating a better user experience. The only thing that would make such a link problematic for Google is if Wikipedia paid me to put such a link in (or rewarded me in some other way, perhaps through a reciprocal link) – that’s a link scheme, pure and simple, and if you do this, you’ll get busted. Why link out? Well, there are several benefits, first, that you are demonstrating to Google and the other engines that you are associating yourself with legitimate, authoritative sources. Secondly, from a branding perspective, you are deliberately “standing next to” these same sources, which will make you look stronger in the minds of your human (non-robotic) visitors. Thirdly, you are giving the webmasters of these same information sources an ample reason to link back to you. Remember, these webmasters are likely watching their traffic sources as carefully as you are. If and when they see traffic coming over from your site, they may decide that your site is link-worthy. Such a decision may not happen overnight, but it will happen one day if you’ve chosen your targets wisely. This kind of low-key, completely legal/ethical method of link building might not deliver many inbound links, but it does increase one’s odds of getting an inbound link – because one’s article is merit-worthy, not because of a quid pro quo that Google won’t like. Technically, the original PR formula dictates that any link equity spent on external pages is lost opportunity that could have been spent on internal pages. HOWEVER, I (and many other notable SEOs) have seen very compelling evidence to suggest that not only does linking out NOT harm a site’s rankings, it appears to carry some positive correlations with ranking, trust, etc. on both a page and domain-wide level. Don’t be afraid to link out. Doing so is what Google wants you to do; more importantly, it’s what your readers want you to do, because links can save them time, let them zoom in or out to topics you refer to, and otherwise make their experience of your content more rewarding. Like any other web tactic, use moderation. Link when it’s appropriate. Put yourself in your reader’s shoes. Will a link help he/she understand a topic better? Will it save them time? Will it show that you’ve done your homework? If so, link away – without fear! The debate on Google best practices when it comes to linking has divided many publishers and marketers. 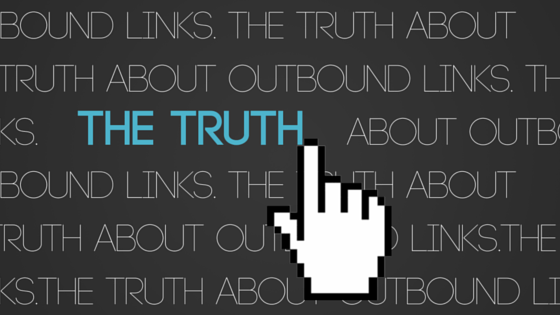 Should you be afraid of using outbound links?